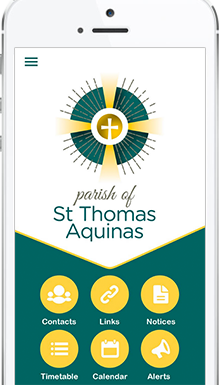 We will work with your Church’s branding to come up with the best home screen design possible for your ChurchApp. Call and email contacts directly from your ChurchApp. Contacts directory displays all contact information relevant to your Church. 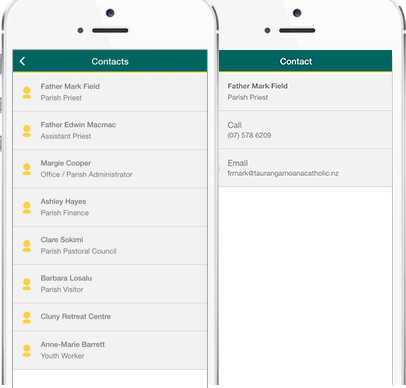 User can either call direct or send an instant email to any specific department or individual within your Church. 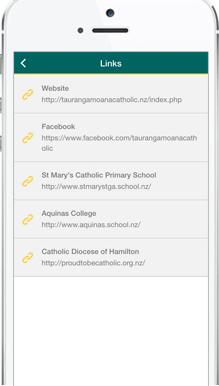 For those extra useful links relevant to your Church, ChurchApps allows for this to be accessed within the app. Add links to your Church Website, Facebook page etc. Alert Notifications allows the user to subscribe to specific Churchl Alert Groups so that they receive only alerts relevant to them. These alerts are setup as a push notification system so even a locked phone will display the Alert on the users phone. There is no limit to the amount of alerts a Church can send. Sending Alerts is also completely free of charge. 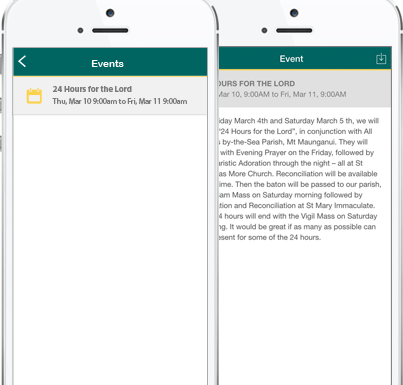 List all your Church events within your ChurchApp. You can Sync with your Google calendar events. 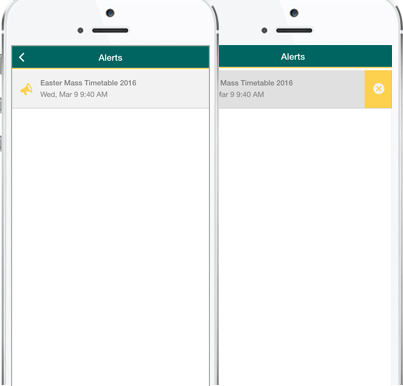 The App user is able to add the events to their phones calendar so they never miss your Church’s upcoming events. 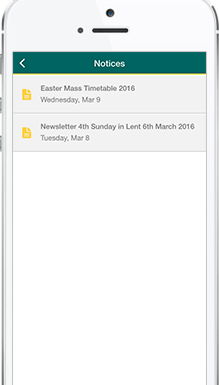 The Notices module allows the Church to upload notices and newsletters to the app. App users can easily read notices from their device as the need. 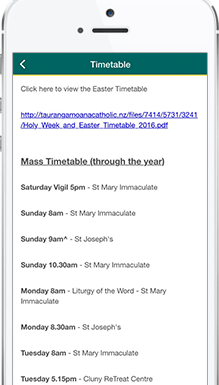 Upload your mass timetable so app users can view this at anytime.